The thought of pizza with no cheese could be enough to make some people cringe. I would rather have pizza with no cheese, than no pizza at all. 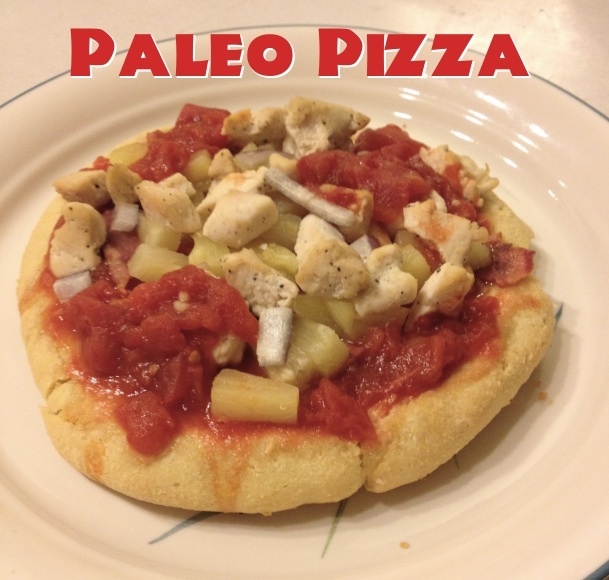 :) So this is a Paleo version of some BBQ chicken pizza & a Paleo tomato sauce chicken pizza. Mix all ingredients together & roll out to the size you would like. 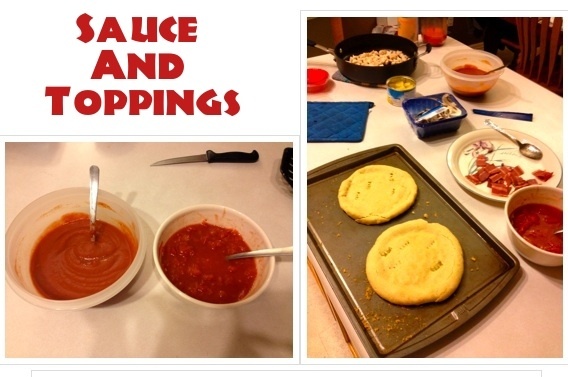 Once the crust is out of the oven, use whatever toppings you want! 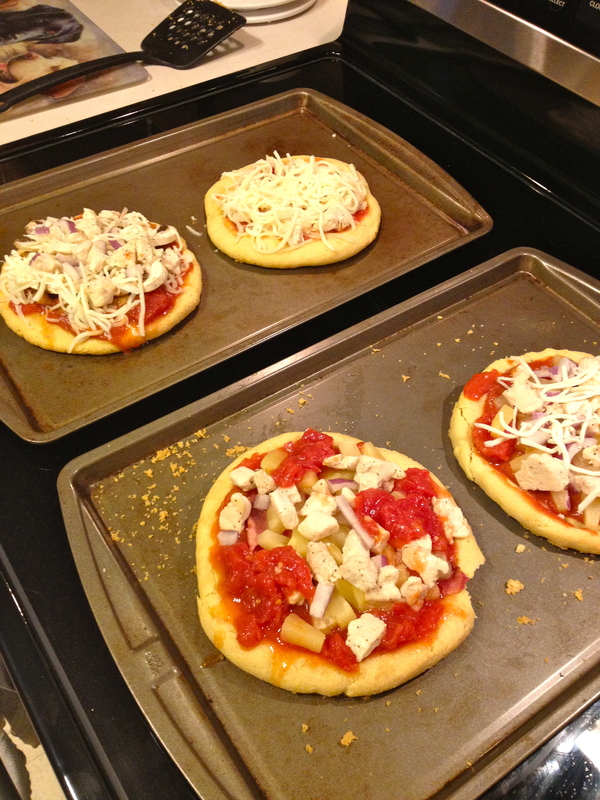 Here are the pizzas before I put them in the oven for the second time (Mine is the one without cheese). I kept the oven at 350 degrees, and cooked the pizzas until the cheese melted, which took about 10 minutes. I would not recommend the BBQ sauce recipe I used. It was just way to strong for me, but the tomato sauce was yummy! These look so yummy! I’ve always wanted to make homemade pizzas. I can’t wait to try them. This was fantastic! I didn’t double it and made a thin crust pizza. Rolling out was a problem at first. I put some olive oil on my hands and smooshed it out. It went much smoother. :) I also puree’d some kale and put in on top. Wonderful!!! Oh, and for the pizza sauce, I blended/puree’d the canned whole tomatoes, then mixed it with a small can of tomato paste. It made the best consistency! My crust turned out a lot darker in color (I don’t know if it was bc I used almond meal and not almond flour) BUT, this was amazing! Totally satisfied my pizza craving and it was BEYOND easy to make! Took less than 10 min to prepare! Thank you for Thai recipe! This crust is AWESOME!!! For a year I have been trying to find a crust that would actually stay together and get crunchy and the search is now over! 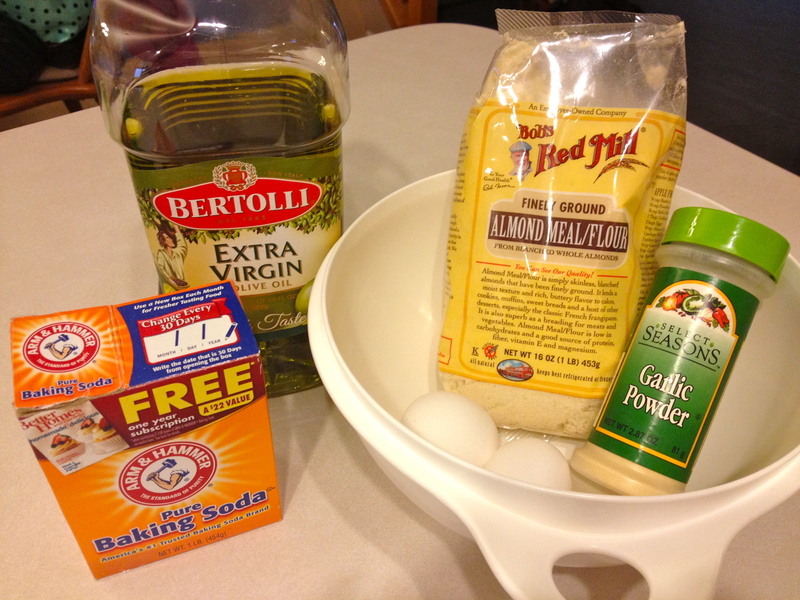 Will start following your blog now :) Also….if you are dairy free paleo (we are) try nutritional yeast to replace the cheese….it is seriously awesome and super super good for you!!! Oh and I didn’t double the recipe as we like thinner crusts! Do u know nutrition facts per small pizza? Excellent! Very good! We were very pleased! Simple AND delicious! Thank you!! 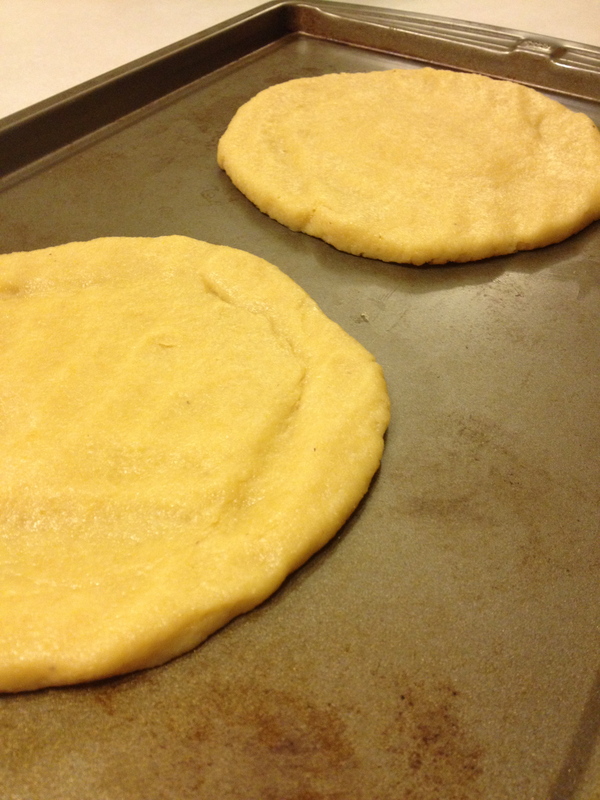 Do you know for how long you can keep the dough? Meaning, can you pre-make some for later use? I truly do not know. I would guess a day or so. It was very sticky though, so it would need to be put somewhere that won’t be a pain to get back out. Like Tupperware rather then a bag. I am not a native English speaker, so can you tell me what the abbreviations in the recipe mean. Thank you. Do you know if I could make these crusts the night before refrigerate them then bake the next day?